Last week, I held my first California Cattle Grazing School at the UC Sierra Foothill Research and Extension Center in Browns Valley. 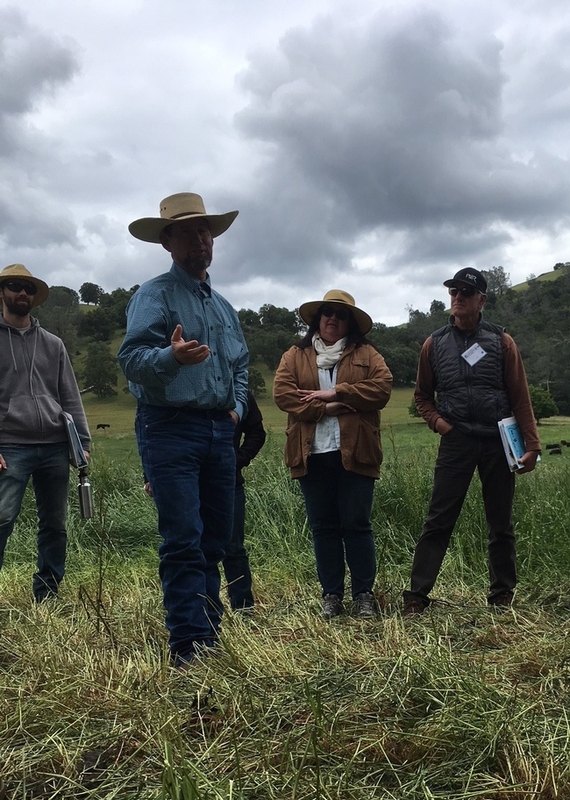 The two-day school, an adaptation of Roger Ingram's long-running California Grazing Academy, included classroom talks and field-based learning activities. And as I had hoped, it also featured a great deal of rancher-to-rancher learning. Sometimes, I think, many of us learn as much from these informal conversations as we do from prepared lectures - I know I do! One of the class participants, Clay Daulton, is a long-time Madera County rancher. I've known Clay since I was just starting my professional career more than 25 years ago. 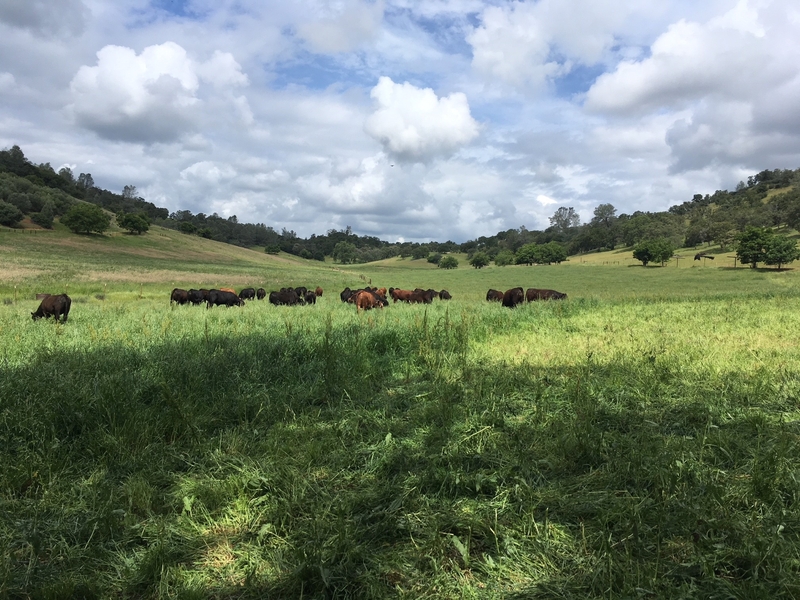 Clay recently became a California Naturalist, doing his capstone project for the program on the varieties of grass and forb species on his foothill rangeland. Clay told us, "I spent half of my life paying attention to cattle - I could pick out a sick calf in a pasture from 100 yards away. But I should have been paying attention to my grass." Clay showed us how he calculates the carrying capacity of his ranch each fall based on the weight of the steers he's contracted to graze and on the amount of carryover forage available from the previous spring. Earlier in the day, after I gave a formal talk about fencing systems and stockwater development, Paidin Gillis, who ranches in Lincoln, shared his technique for keeping water troughs from freezing in colder climates. He sketched out the system on a flip chart while the rest of the class looked on. Clifton Dorrance, from the Hollister area, shared his technique for burying concrete water troughs to keep cattle from undermining the trough - and he told us that this technique also makes water more accessible to wildlife. 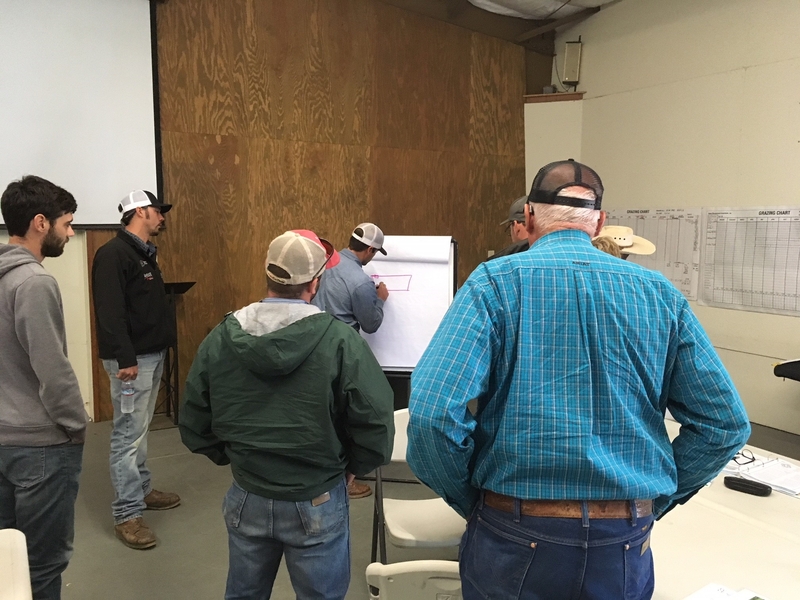 During the first day, a group of local ranchers (known humorously as the "Foothill Grazing Geeks") joined us to talk about how they use the managed grazing principles we cover in the school. Connie Scheiber, from Lincoln, talked about switching their operation from fall calving to spring calving to match forage demand with the period of rapid growth. Joe Fischer, Brad Fowler and Rob Thompson talked about the value of forage diversity in their irrigated pastures. As teachers, Roger and I sat back and listened! "What does it mean that an island not much bigger than Kansas [England] ... should have developed sixty or so breeds of sheep? It means that thousands of farmers were paying the most discriminating attention, not only to their sheep, but to the nature of their local landscapes and economies, for a long time." I was reminded of Berry's emphasis on the knowledge of farmers (and ranchers) this weekend. While much of our work in cooperative extension focuses on research and teaching, I think we serve our communities most effectively when we create space for people to learn from one another, as well. 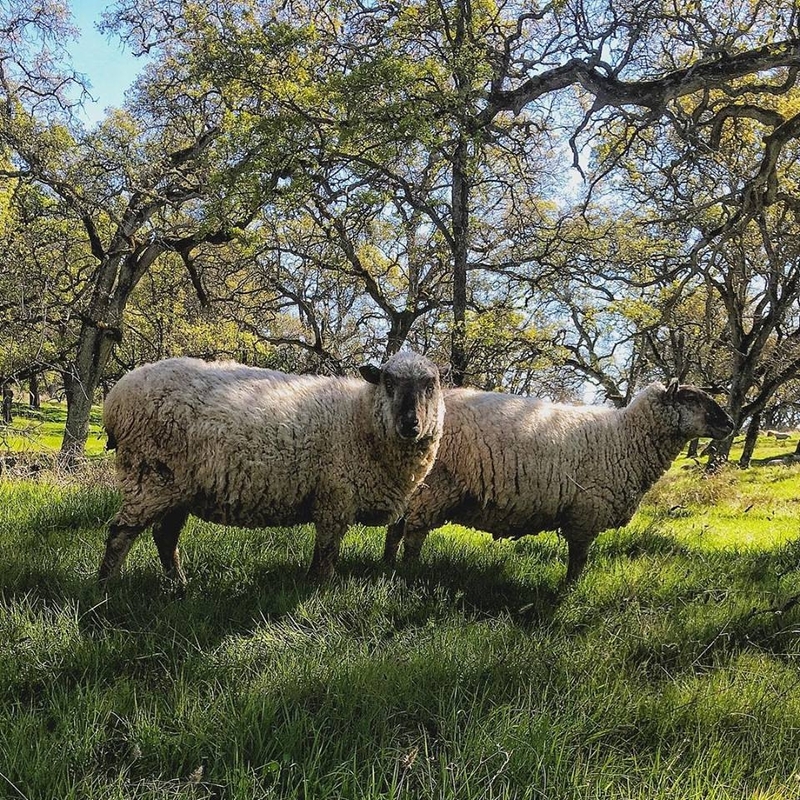 If you missed this year's California Cattle Grazing School, consider registering for our California Sheep and Goat Grazing School in September - stay tuned for details! Most ranchers track production – pounds of calves or lambs sold, seasonal gain on stocker cattle or feeder lambs, or pounds of wool shorn are all measures of ranch productivity. These are the benchmarks that we compare year-to-year – or across the fence with our neighbors! However, ranches produce more than just livestock – they provide wildlife and native plant habitats, water filtration, fuel reduction, and cultural landscapes. These “ecosystem services” are increasingly valued as important reasons to conserve working ranches. What are Rangeland Ecosystem Services? 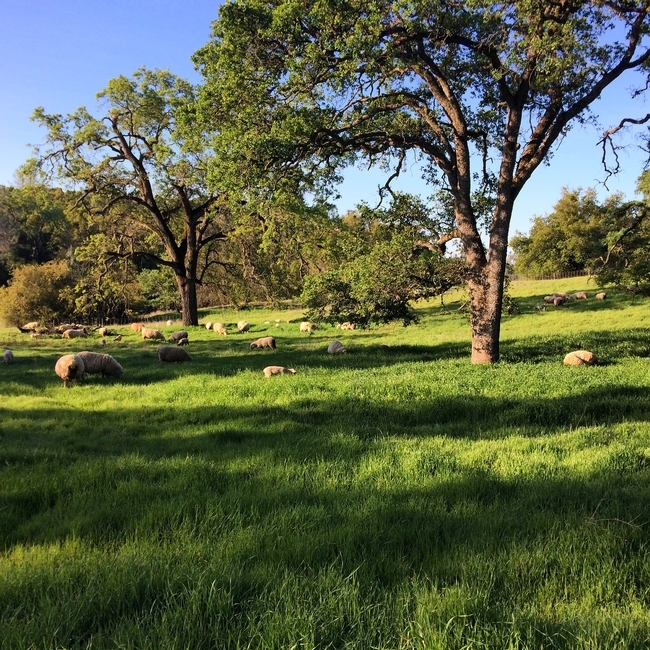 California rangelands are biologically and climatically diverse, and ranchers utilize a variety of public and private lands. Within Placer, Nevada, Sutter and Yuba Counties, working ranches often represent the “wide open spaces” and iconic oak woodlands of our foothill communities. They also provide migration corridors and other habitat values for wildlife. Well-managed grazing land in our 4-county region supports a wide variety of wildlife, including red-legged frogs, burrowing owls, and Swainson's hawks, to name a few. These lands also provide important habitat types, like vernal pools and blue oak woodlands. Yet despite these critical ecosystem services, rangelands have become highly fragmented - and increasing land values make it difficult for the next generation of ranchers to get started. Rangeland ecosystem services provide value beyond the market price of your livestock. How can you take advantage of these values? Conservation easements allow landowners to realize some of the capital value of their land without selling; rather, the landowner voluntarily exchanges future development rights for payment or tax reductions. 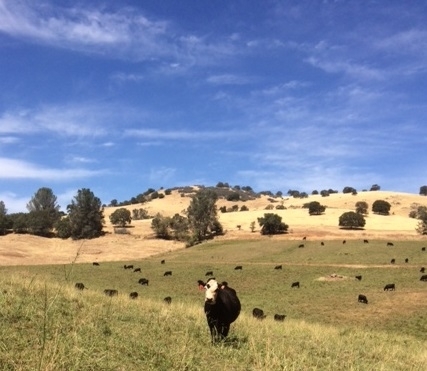 As one example, the California Rangeland Trust focuses on funding conservation easements for ranchlands. Cost-share programs like the federal Environmental Quality Incentives Program and Conservation Stewardship Program fund on-ranch conservation practices. A local example is the Placer County Water Agency and Placer County Resource Conservation District, which offer cost-share funds for irrigation water conservation efforts. Certification and eco-labeling programs help consumers support ranchers directly – rewarding ecologically beneficial management. Despite the potential, many labeling and certification efforts are still under development. critical. New programs continue to emerge with a variety of partners. 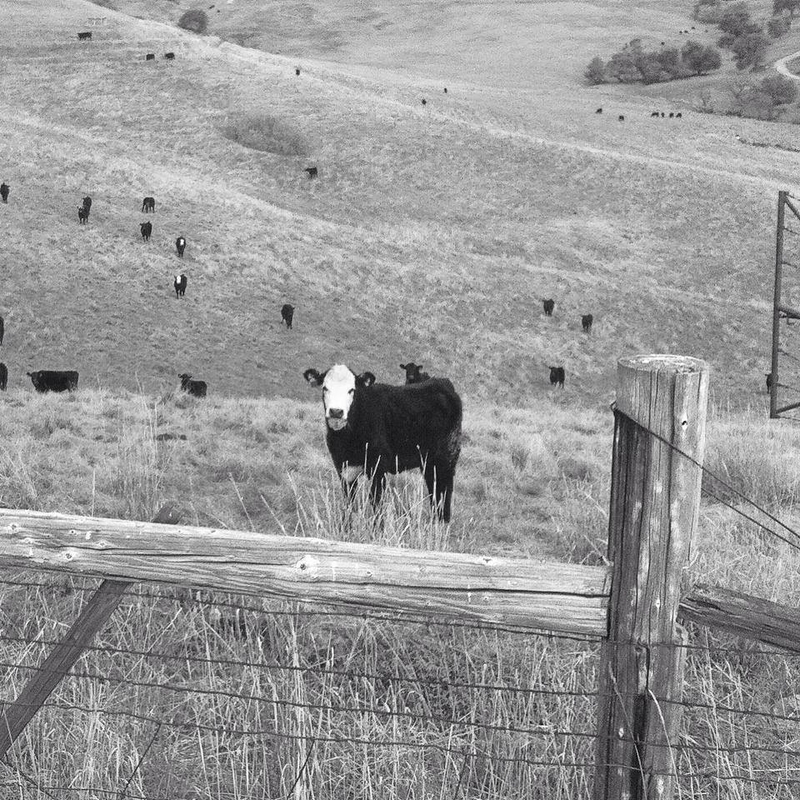 Some may pay ranchers directly for sequestering carbon or coexisting with wildlife, for example. Some programs may require new management practices; others may place restrictions on future land uses. While the decision to participate in these programs is deeply personal, they can provide opportunities for diversifying ranch income or for young families who want to get a start in ranching.